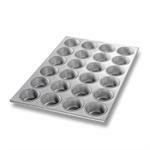 Make and bake melt in your mouth muffins with ease, using this Chicago Metallic Bundy Commercial muffin pan. 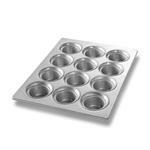 The Chicago Metallic Bundy line is their highest quality of bakeware, like the ones used in commercial bakeries. The Americoat® Plus silicone non-stick glaze, specifically designed for bakeware application, delivers unparalleled release. 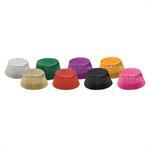 Made of aluminized steel for weight and even heat transfer, you get perfect results from corner to corner every time. 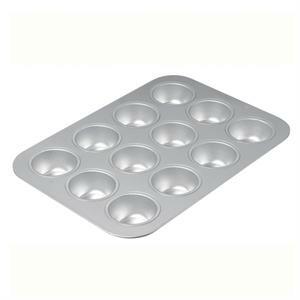 It is not necessary to use muffin liners unless muffins are very low fat or have sticky ingredients. 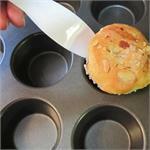 If your muffins are going to be stored in the freezer, we recommend liners as they will stay fresh for longer.